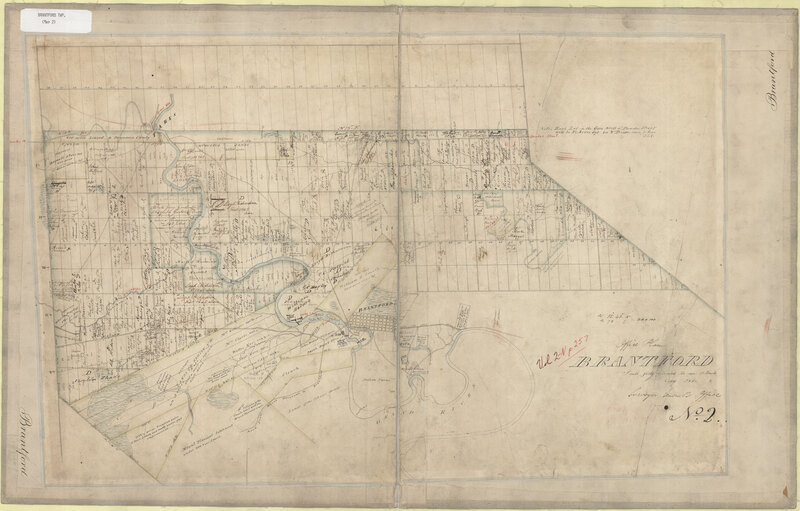 Brantford East Twp. 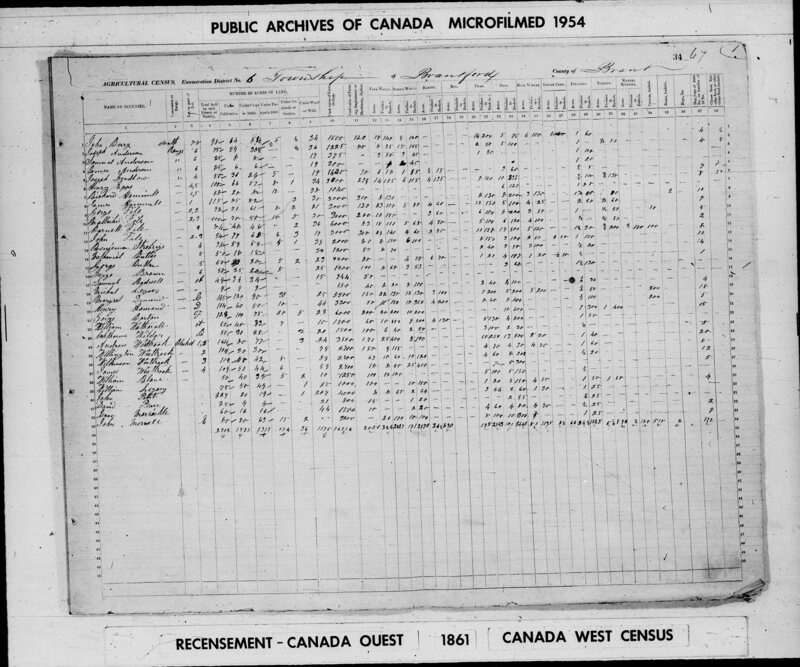 in historical BRANT Co. 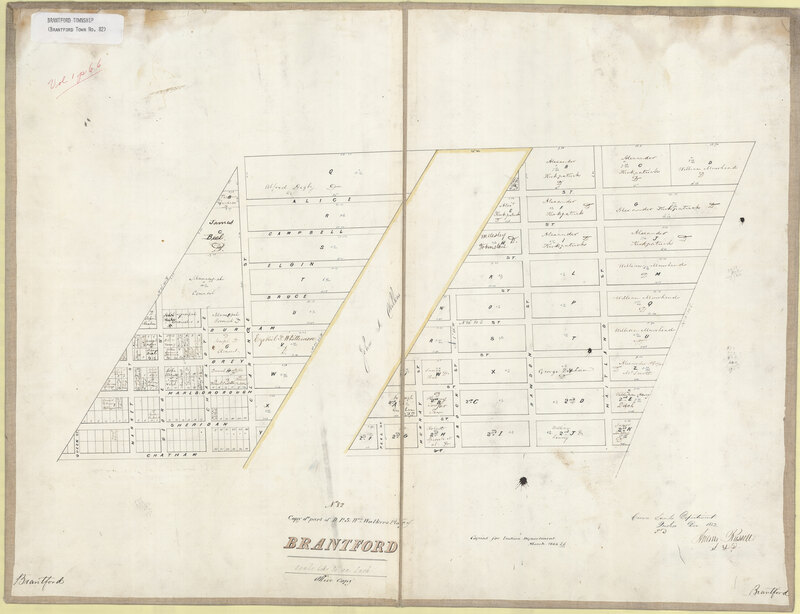 The rural district immediately tributory to the City of Brantford where the first settlement was made before 1810. 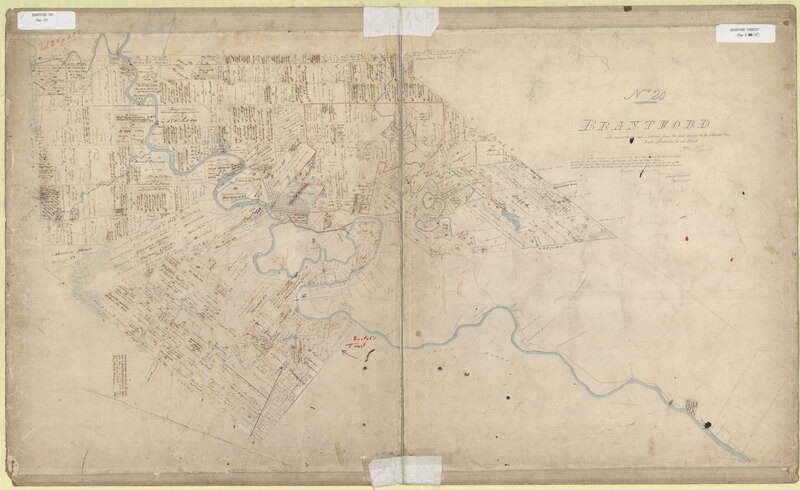 In 1822 Isaac Fairchild took up land at Fairchild’s Creek. 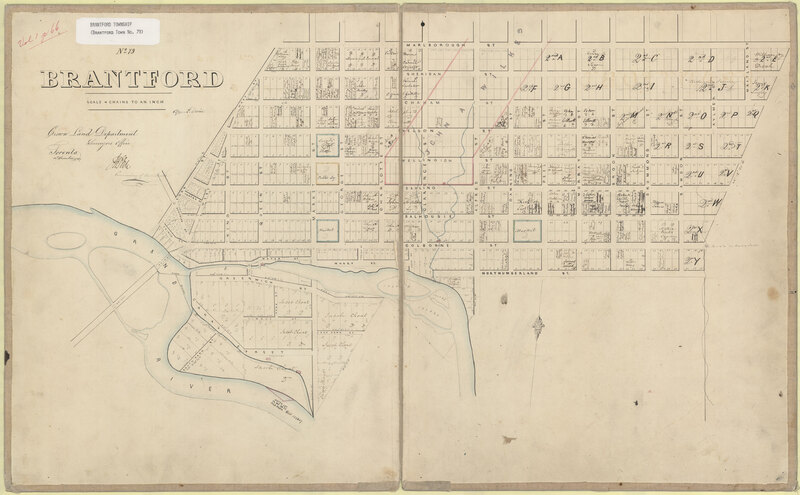 The Township was organized in 1840. 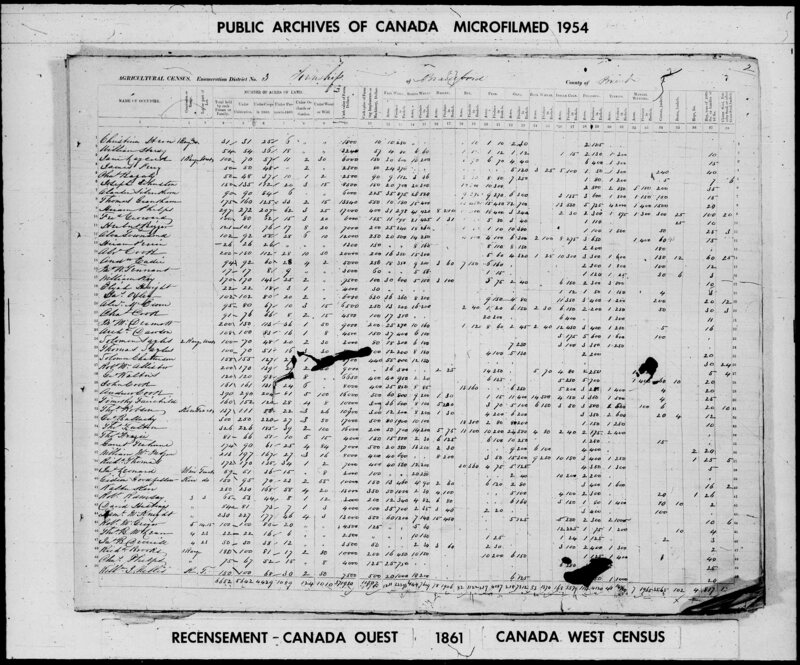 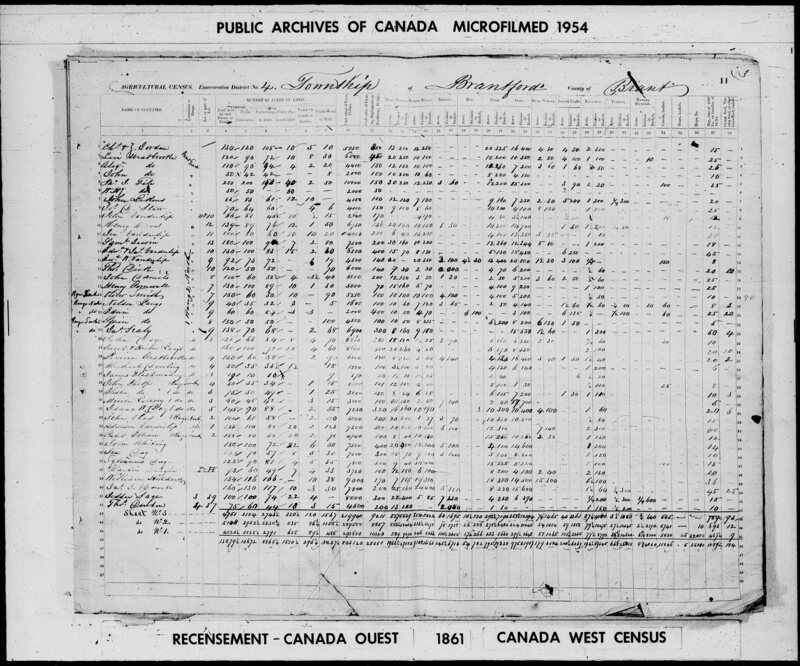 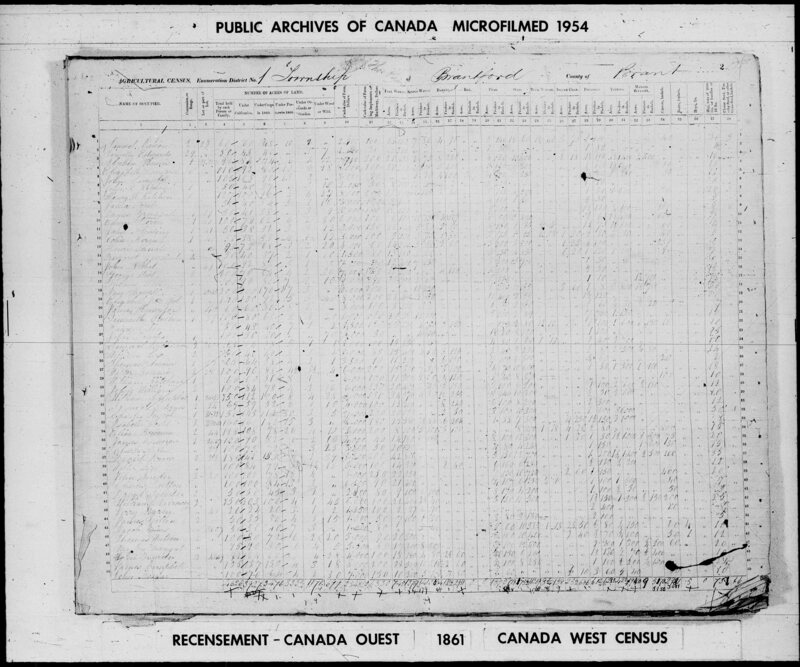 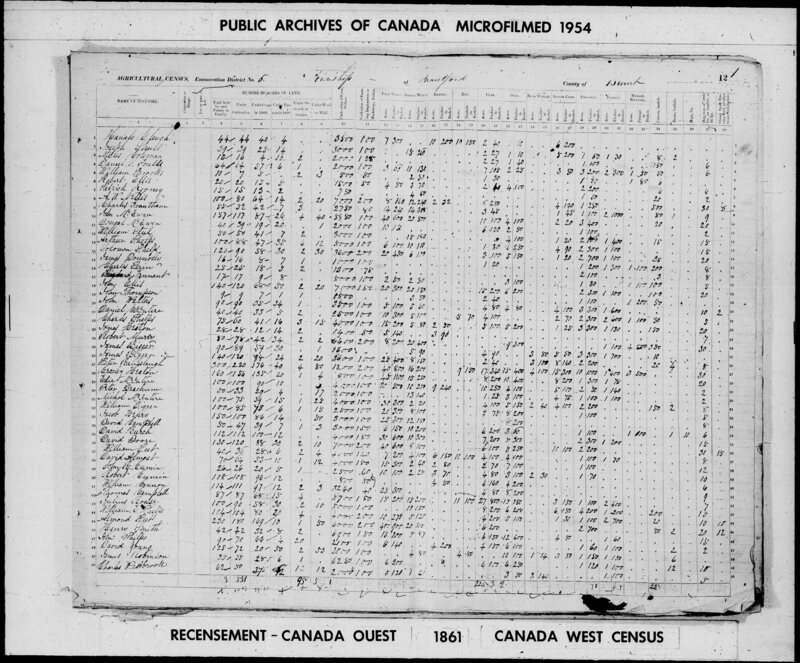 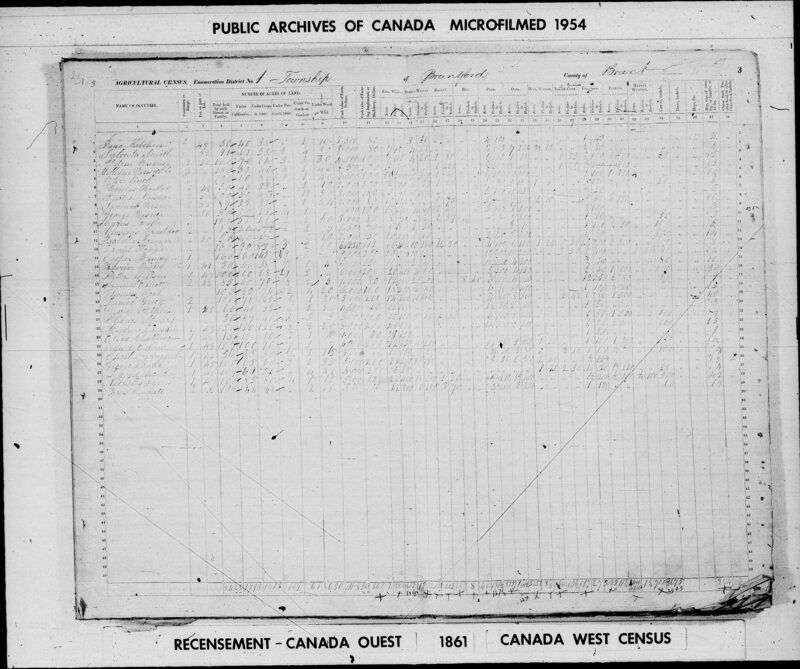 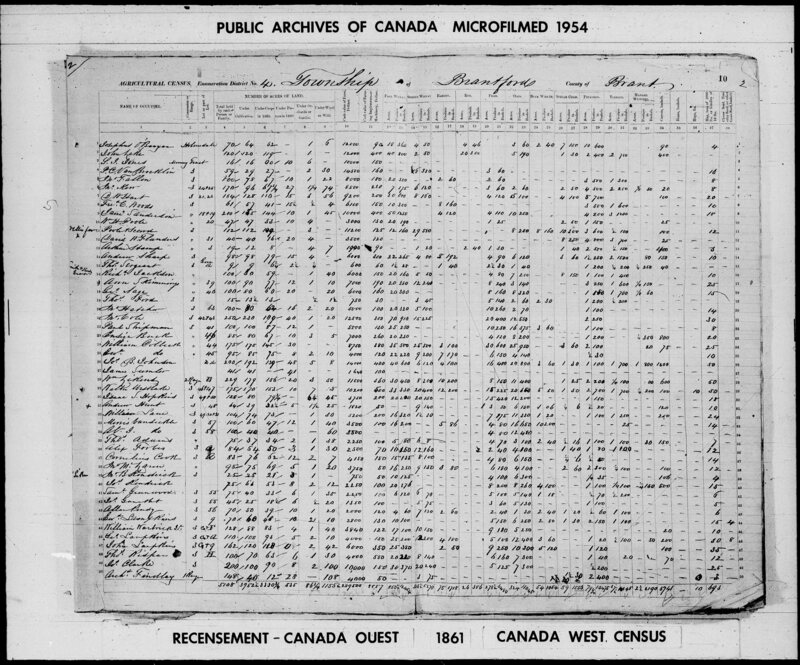 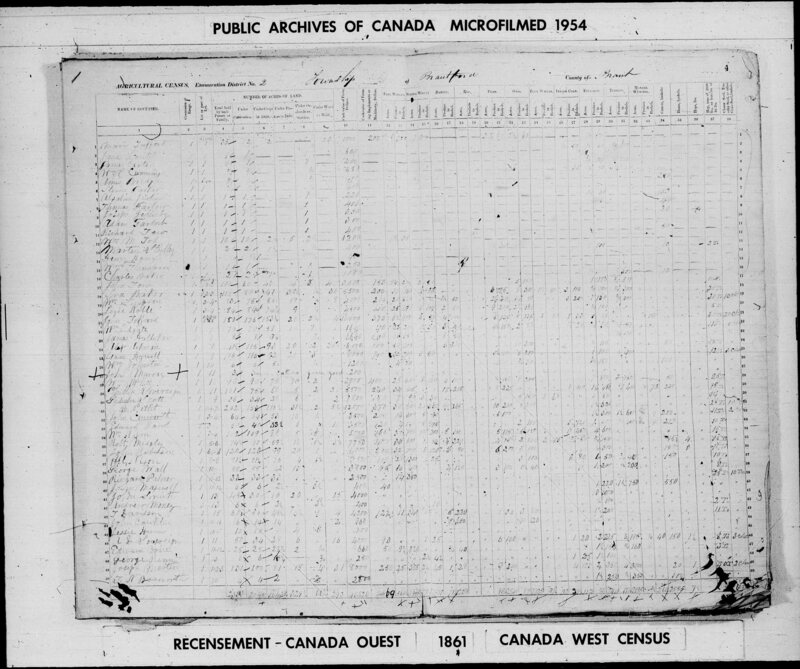 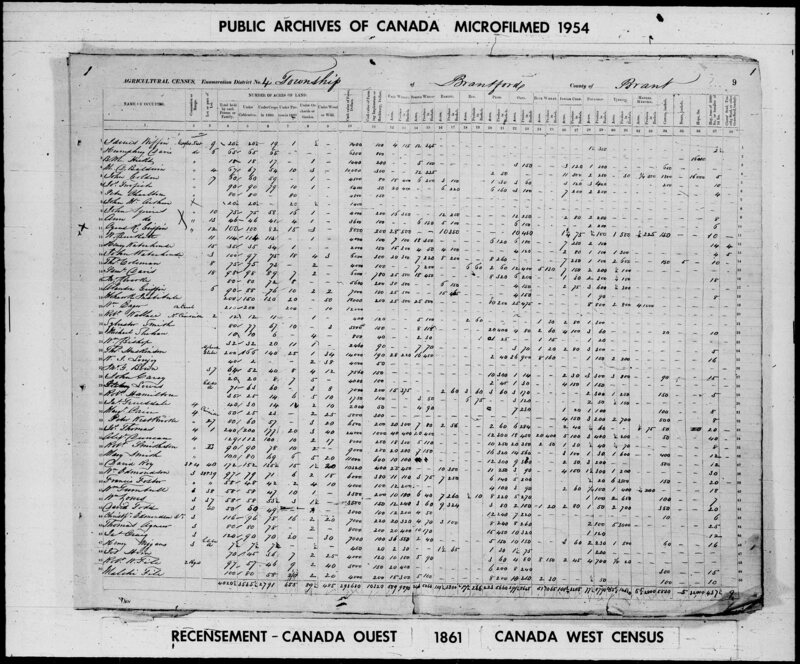 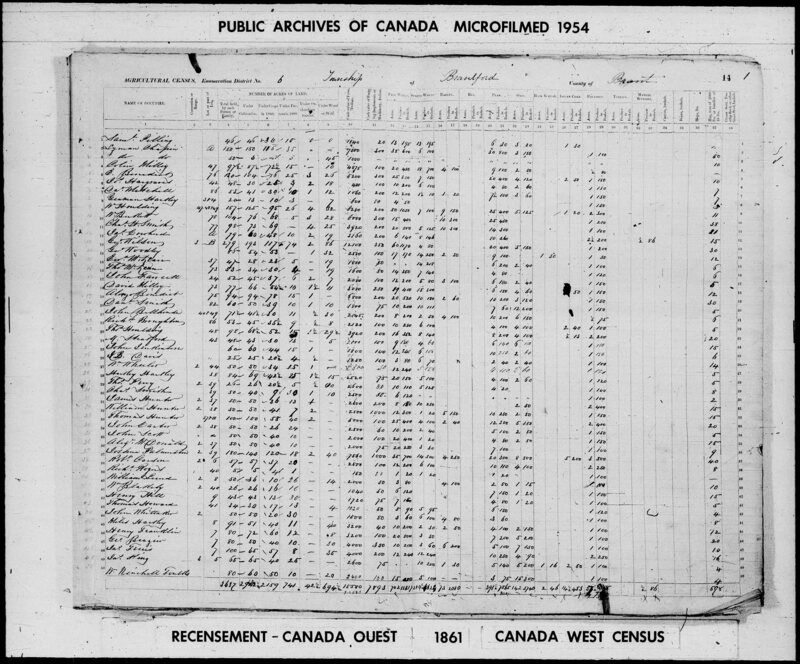 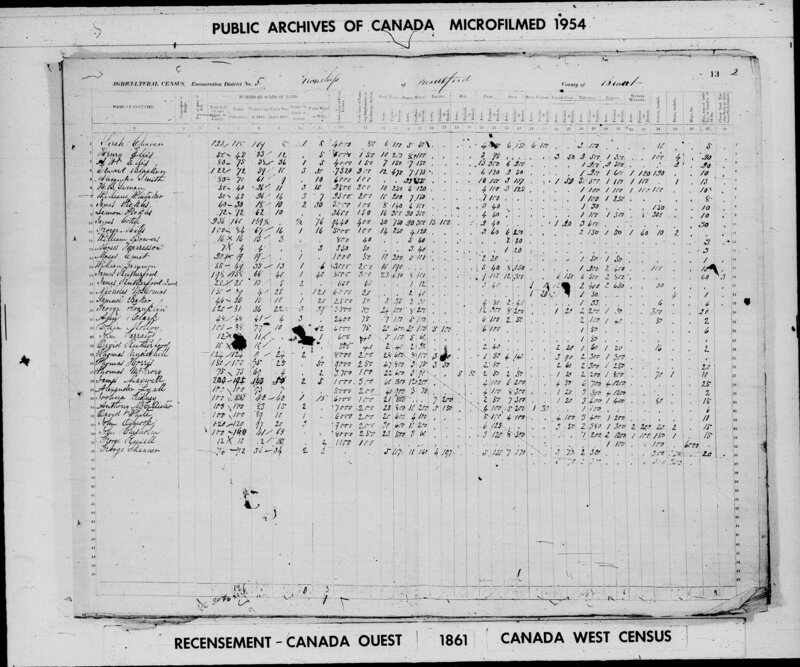 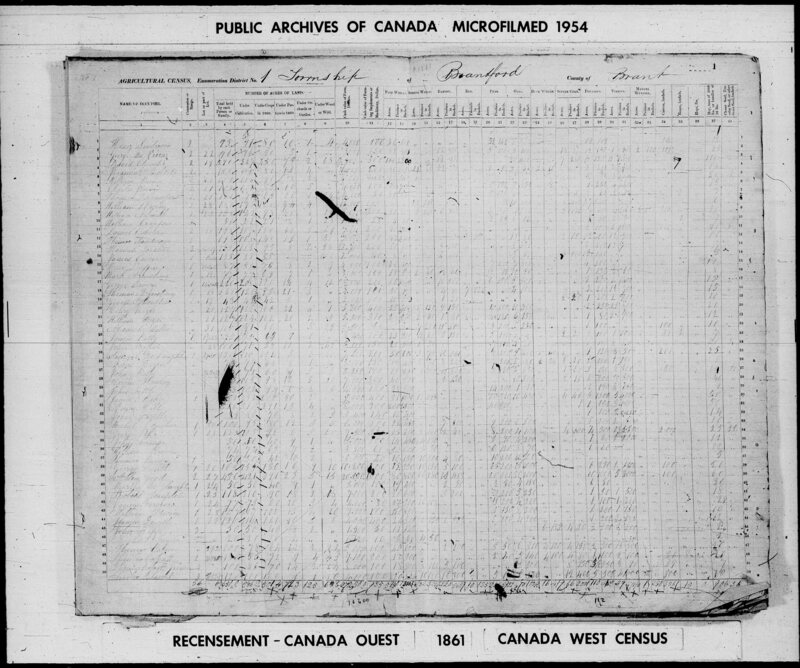 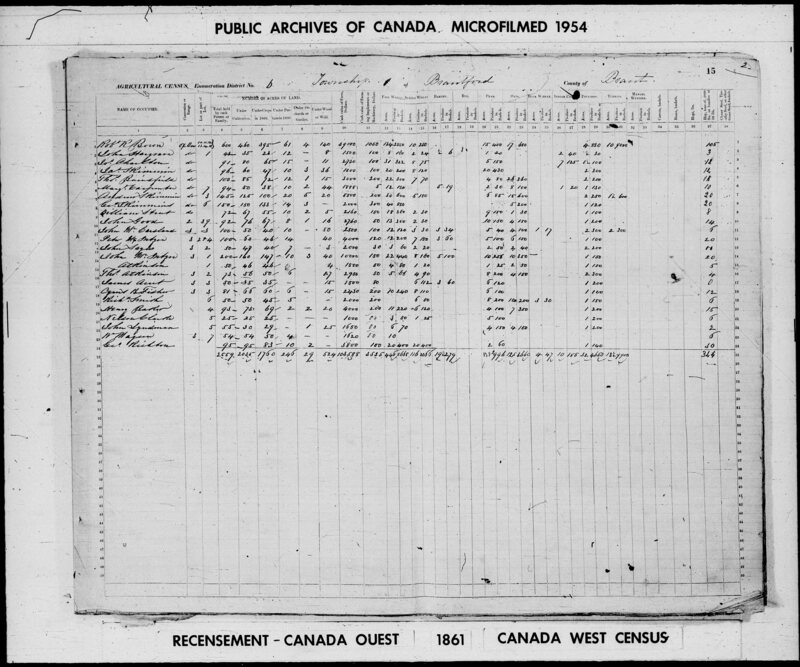 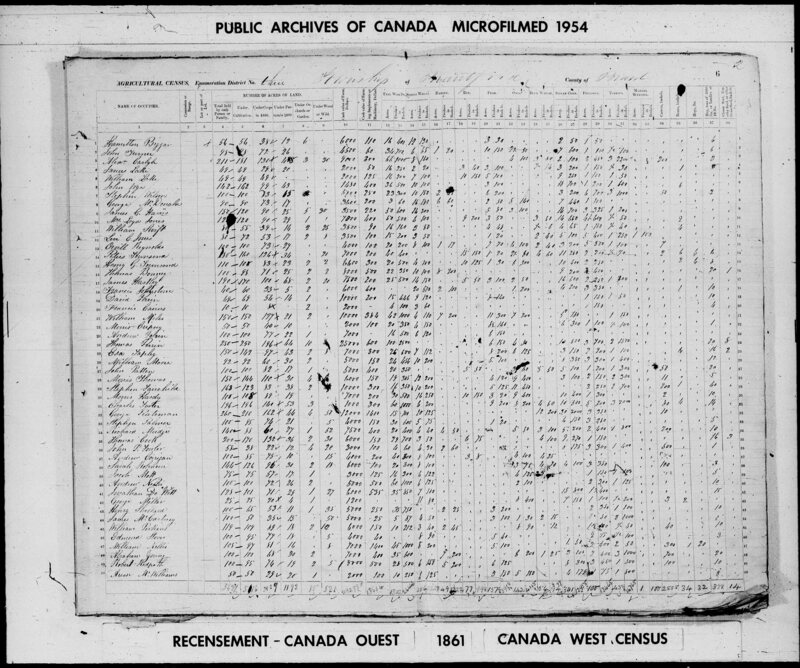 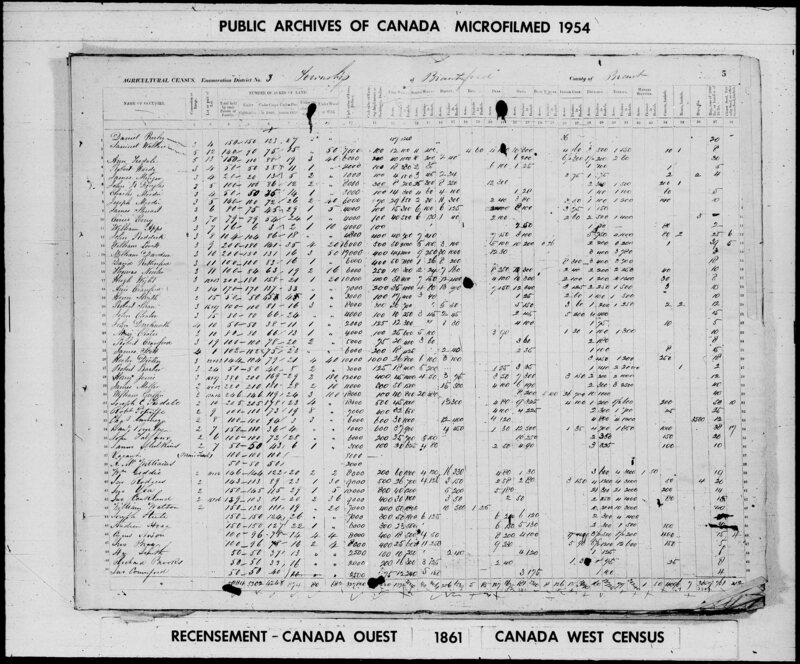 This 1861 enumeration was for Brantford Township, undivided into E & W.